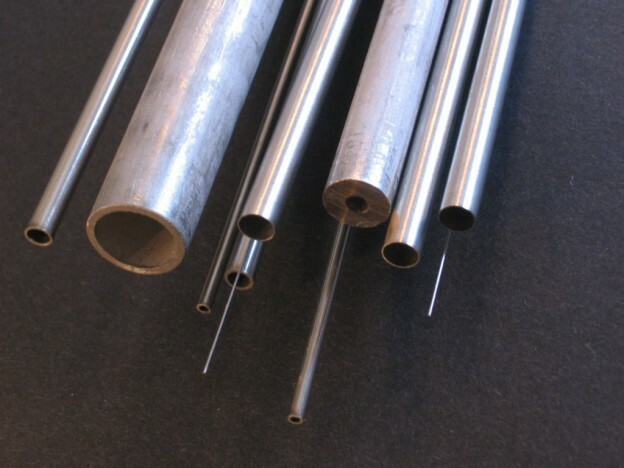 In addition to stocking the standard gauge hypo tubing that Vita Needle is known for, we can also supply commercial tubing ranging from 1/32” OD up to 15” OD. Our “commercial tubing” is available in stainless 304, 316, as well as Aluminum grades 6061 and 2024. Our commercial material is available in either welded or seamless, and comes in the annealed condition (a softer temper allowing for easier workability). These sizes are usually stocked in 5 or 10-ft random lengths, (6 or 12ft for aluminum) but we can sometimes accommodate requests for lengths up to 20 ft long. Note that these limitations specifically apply to stocked sizes, and custom runs are available in seamless or welded and drawn options at lengths and sizes per your request. Another important distinction for the welded commercial products is that they are NOT drawn and therefore a visible weld seam may be present (unlike our welded and drawn product offerings). Commercial tubing is widely considered structural tubing and is manufactured with what is best described as a dull gray mill finish. We like to refer to it as battleship gray, if you were to see a naval ship in port. Its uses vary from engineering products such as boat trailers, industrial racks and highway signs, to backyard projects from fence posts to playgrounds. These structural applications depend on the integrity of the specific OD and wall sizes more than the mill finish appearance. Commercial tube is also used in applications where selected ASTM or MIL-T specs are needed, as welded and drawn tubing sometimes falls under different ASTM specs that may not be appropriate for the selected application.